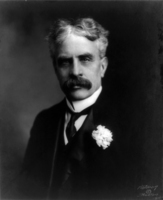 CREIGHTON, DONALD GRANT, university teacher, historian, and author; b. 15 July 1902 in Toronto, second of the three children of the Reverend William Black Creighton and Laura Harvie; m. 23 June 1926 Luella Sanders Bruce in London, England, and they had a son and a daughter; d. 19 Dec. 1979 in Brooklin, Ont. John Creighton, Donald Grant Creighton’s great-great-grandfather on his mother’s side and his great-grandfather on his father’s, emigrated from Tamlaght O’Crilly parish, County Derry (Northern Ireland), in 1832. He left for the usual reasons: he was pushed out by Ireland’s precarious rural economy, and he was pulled by British North America’s promise of land. Two years later John was joined by three of his five children. His son James bought a 100-acre lot in North Dorchester Township, Upper Canada, which over time he would transform into a successful farm called Hillside. James’s fifth child, Donald’s father, was born there in 1864. Through his mother, Donald was descended from James’s brother Kennedy. The Creightons had been Presbyterians, but Kennedy converted to Methodism and became an itinerant preacher. His daughter Eliza Jane* married railway conductor John Harvie* in 1861. By all accounts, Lizzie, as she was known, had a powerful personality – Donald once described his maternal grandmother as the only woman he ever feared – and she became a leader in Toronto’s social-reform movement. The Harvies’ children spent their summer vacations at Hillside. Here Laura and William Black Creighton met and fell in love. When he had completed degrees in arts at Victoria College in Cobourg and in theology after the institution moved to Toronto, they were married in 1895. For a few years William held charges in rural Ontario, but in 1900, after laryngitis threatened his career as a preacher, he obtained the position of assistant editor of the Christian Guardian (Toronto), the Methodist Church of Canada’s weekly paper. He, Laura, and their young son John Harvie (Jack) moved to Toronto, where two years later Laura gave birth to a second child. 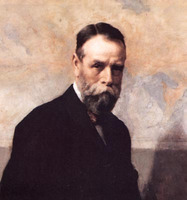 “I was born,” Donald Creighton once said, “into a household in which books, history, biography, literature were all about.” His father, who was elected editor of the Christian Guardian in 1906 over several other clergymen, received dozens of volumes directly from publishers anxious to see them reviewed in a Canadian newspaper. Years later Creighton could still picture those books, neatly wrapped in brown-paper packages, which his father brought home to their house in Toronto’s west end. His mother was something of a bookworm herself, and from their earliest years she read to her children and, as they got older, with them. Dickens and Tennyson were perennial favourites. So too were British children’s magazines: Chums, Chatterbox, Boy’s Own Paper, and Little Folks. Growing up with these books and periodicals meant experiencing what scholars now call the “British world.” Forged in childhood, Creighton’s understanding of the imperial connection – Canada’s political, material, cultural, and psychic links with Great Britain and the British empire – would last over the course of his life, and the relationship became a recurring theme in his scholarship. In addition to excelling academically, Creighton edited Acta Victoriana, the college’s undergraduate literary magazine, in his senior year. Inspired by Smart Set (New York), an avant-garde literary journal that advertised itself as a “magazine of cleverness,” and its famous co-editor, H. L. Mencken, Creighton’s Acta was distinguished by mockery, satire, and irreverence. In his first editorial he announced an “unnatural prejudice against the stodgy and the profound.” In other words, he said, “weighty” articles on “the merits or otherwise of co-education” or “elaborate” histories of the Student Christian Movement were not wanted. When he learned some months later that Acta under his editorship had proved to “tax the brains” of its readers, he proceeded to publish “a simple bed-time story” about a dim-witted hunter who was eaten by a grizzly bear. Having been admitted to Balliol College at the University of Oxford that February, Creighton looked forward to a relaxing July and August at the family cottage on Lake Muskoka, where he summered for most of his life. Then, completely out of the blue, he fell in love. His sister, Mary Isabel, brought a friend home to lunch. Donald knew Luella Bruce, who was a year behind him at Victoria, but not well. 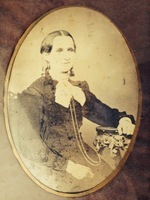 She was the daughter of James Bruce, a blacksmith in Stouffville. Her mother, Sarah Luella Sanders, had died from puerperal fever two days after Luella was born. Unable to care for an infant, James left her with her maternal grandparents, who raised her like a daughter. Five years later James remarried and sent for Luella; from that point on, her childhood was unhappy. Her stepmother was a religious zealot, and as she grew up, Luella resolved to escape the older woman’s emotional abuse and the cultural confinement of small-town Ontario, go to university, and live her life on her own terms. She would eventually have a career as a writer of historical fiction and non-fiction. In the fall of 1925 he went to Balliol, where he read modern history. His principal tutor was Kenneth Norman Bell, who had lectured at the University of Toronto from 1909 to 1911 and remained a conduit of sorts between the department of history there and his Oxford college. The actor Raymond Hart Massey* would later remember Bell fondly. He was, Massey recalled, “not only a brilliant scholar but a remarkable human being, kindly, witty, humorous and understanding.” In those days Oxford tutors were not expected to publish; rather, their goal was to instruct young men, to instil in them what one scholar has called “nation, duty, character and confidence.” As a teacher, Bell aimed “not to impart knowledge but to make us think,” Massey said. Creighton did well at Balliol, both academically and socially. “I got a very good report from my tutor,” he proudly announced in November. “He said that my work had been ‘admirable’ and that he had no criticisms to offer. Not so dusty, eh?” Balliol was not only about studying; it was also about playing field hockey (“you’d laugh if you saw the funny little stick,” he told his father), going for walks in Christ Church Meadow, having friends to his rooms for afternoon tea, and taking in the excitement of Eights Week, the annual rowing regatta. Meanwhile, he and Luella maintained a transatlantic love affair. Letters were exchanged, promises made, and plans finalized. Shortly after her graduation in the spring of 1926, she travelled to London, where on 23 June they were married at Wesley’s Chapel on City Road. After a wonderfully romantic summer in a small coastal village in France, Donald returned to Oxford, while Luella stayed in Paris to study art history. They wrote to each other every day. Although difficult, their separation did not prove “one fifth as hard” as it had the previous year. Indeed, Creighton found himself invigorated and focused. “I am working this year about twice as well as I did last,” he told his mother. He spent the spring of 1927 in Saujon, a small village in the south of France, preparing for his “schools,” his written and oral examinations. “Don is working at a terrific rate,” Luella wrote to her mother-in-law. “I don’t know how he keeps it up – and there are still two months and a half till the ghastly strain is over.” In the end Creighton achieved second-class standing, not a first, and would be awarded his second ba in 1929 (an ma from Oxford would follow in 1931). Few Canadians earned a first, and some even ranked third. They were at a disadvantage: they could do well on the written examinations but lacked the verbal skills of their British counterparts, and it was the viva voce (oral examination) that usually tipped the scales. It is difficult to say what exactly Oxford meant to Creighton. Certainly, he cherished his time there. A sensitive, even emotional man, he was moved by the city’s ancient beauty, its colleges and libraries, its architecture and cobblestone streets. That Toronto was not Oxford and Victoria College not Balliol neither made him feel inferior nor reminded him of his colonial status, and he never overcompensated in an effort to fit in; that is, he did not try to out-English the English by adopting a fake accent or imitating their mannerisms. In point of fact, he found English people “all right,” if a little too complacent: “Particularly when I am at tea somewhere I do wish I had a bomb to explode and wake them all up. They’re nice, but very satisfied.” According to Kenneth Bell, Creighton remained “a thorough Canadian rubber neck,” even after he had been at Oxford for a year and a half. Nevertheless, the experience confirmed his Britishness and deepened his appreciation of Britain’s place in the world. It was, however, a Canadian Britishness: rather than something imposed from outside, it emerged from within. Being both British and Canadian was not contradictory but hybrid. For the next seven years, Creighton jealously guarded his time. The demands of a young family (his son, Philip, had been born in 1929) and a heavy teaching load – his students would remember his lectures as carefully planned and recall him as a “dramatic performer” – left few opportunities for research and writing. Avoiding the temptations of articles and reviews, he set his sights on a more distant horizon: the publication of a book. To get there would take years, not months. The commercial empire of the St. Lawrence, 1760–1850, issued in 1937 as part of the Carnegie Endowment for International Peace’s series on Canada–United States relations, established Creighton’s reputation as his generation’s finest historian. Inspired by his friend Harold Adams Innis*’s The fur trade in Canada … (New Haven, Conn., and London, 1930) and its conclusion that Canada “emerged not in spite of geography but because of it,” Creighton argued that the nation was achievable only because of the St Lawrence River and the Great Lakes. The sole waterway to penetrate the centre of North America, it made an east-west transcontinental and transatlantic commercial empire – and, ultimately, Canada – possible. “It was the one great river which led from the eastern shore into the heart of the continent. It possessed a geographical monopoly; and it shouted its uniqueness to adventurers. The river meant mobility and distance; it invited journeyings; it promised immense expanses, unfolding, flowing away into remote and changing horizons. The whole west, with all its riches, was the dominion of the river.” Here, in a nutshell, was the Laurentian thesis of Canadian history: out of the St Lawrence River valley and the Great Lakes basin, out of the Canadian Shield, came the nation. Creighton accomplished for the St Lawrence what Thomas John (Tom) Thomson* and the painters of the Group of Seven had realized for the Canadian Shield: he mythologized it, making it an element of the English Canadian imagination. The “river of Canada” was an ongoing argument against continentalism and prevented the country’s absorption by the United States. It represented Canada’s very purpose: to maintain a separate political existence in North America. But Creighton reminded his audience that the north-south pull of continentalism was powerful and that Britain mattered to Canada. 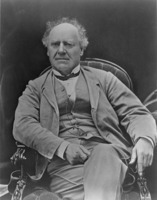 What he concluded about the 19th century – that “Canada was virtually meaningless apart from the imperial connection” – applied equally to the 20th. Dominion of the north met a kind fate. 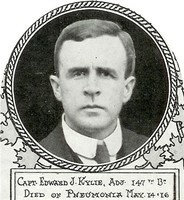 The New York Times gave it a glowing review on 23 April and said that its author was a “good prose man”; the Montreal Gazette on 21 July described it as “history in the grand style” and commented on its “brilliantly worked pages”; and historian Alfred LeRoy Burt told Creighton that it was “a capital piece of work which ought to have a wide sale.” Although Creighton felt that his publisher, the Houghton Mifflin Company, might have pushed the book more aggressively, especially in the United States, it did quite well: between 1944 and 1953, when it went out of print, over 10,000 copies were sold, and Creighton earned $2,100 in royalties. A publisher in Buenos Aires brought out a Spanish translation in 1949 titled El dominio del norte: historia del Canadá, and an updated and expanded version was issued by the Macmillan Company of Canada in 1957 and by Houghton Mifflin as A history of Canada: dominion of the north the following year in an attempt to reach the university- and college-textbook market in Canada and the United States. Taking his inspiration from German composer Richard Wagner’s use of a leitmotif, a recurring theme in musical or literary composition, Creighton begins the first volume of his biography of Macdonald where The commercial empire of the St. Lawrence ends: with the river itself. “In those days they came usually by boat. A few immigrants may have made the long journey from Montreal by land, taking several weeks and stopping at a score of friendly farm-houses as they pushed their way through the green forest. But most people travelled westward by the river.” He concludes the second volume where the first one starts: “Beyond the dock lay the harbour and the islands which marked the end of the lowest of the Great Lakes; and beyond the islands the St. Lawrence River began its long journey to the sea.” In the intervening 1,059 pages of text, it is a heroic Macdonald who listens to the St Lawrence and struggles to realize the river’s promise and extend it westward, from sea to sea, by means of a transcontinental railway; who understands that the threat to Canada’s independence in North America, its separateness, comes not from Britain but from the United States; and who finally, because he alone can see the larger horizons, overcomes the objections of reluctant New Brunswickers, the opposition of obscurantist Nova Scotians, the challenges of provincially minded premiers, and the armed rebellions of the Métis. John A. Macdonald: the young politician (Toronto, 1952) and John A. Macdonald: the old chieftain (Toronto, 1955) each won a Governor General’s Award for academic non-fiction. Both did exceptionally well in the general market. By 1960, sales had topped 11,000 for volume 1 and 10,000 for volume 2, and Creighton had pocketed more than $14,600 in royalties. In his review of the first book, Oxford scholar Max Beloff described Creighton as “one of the half-dozen best historians now writing anywhere in the English-speaking world.” Also at Oxford, philosopher Isaiah Berlin announced to his students that, “on the strength of this one volume, I can say that I have been communing this past weekend with the greatest historical writer of our time.” The centre had recognized the margin. He was unapologetic about the liberties he took as a writer. “People sometimes say to me, ‘How do you know Macdonald was thinking that at this particular moment?’ And I freely admit I don’t know it. What I do know was that these were his thoughts on this particular subject and that as an historian I may choose the moment when I’m going to have him explain himself.” At the same time Creighton insisted on “the most careful, exhaustive and meticulous research.… You have to soak yourself in the records of the time, printed and written, and this must go on and on, until you know these people almost as well as you know your contemporaries. Unless you do that and carry it down to the last particular of evidence, you have no right to try to get back into their minds.” He always did his own research; everything beyond basic statistical data must be found by the person writing the history, he believed. 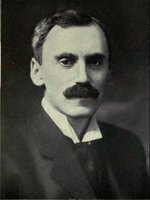 The Macdonald biography set Creighton apart from fellow historians Frank Underhill and Arthur Lower. These two men interpreted Canadian history as the story of the country’s emancipation from Britain. Although it remained a constitutional monarchy and did not seek to become a republic, Canada was a North American nation. As Underhill observed, Canada and the United States were not fundamentally different. “It was not the Declaration of Independence which made the Americans a separate people, it was the Atlantic Ocean; and Canada is on the same side of the Atlantic.” Lower agreed. Not insignificantly, while Creighton called his one-volume history of Canada Dominion of the north, Lower titled his Colony to nation (Toronto, 1946). 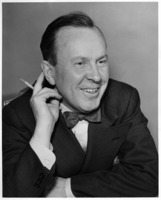 In 1954 Donald Creighton had got what he wanted (and what he had thought was rightly his two years earlier, after Chester Bailey Martin* retired as head of history) when Sidney Earle Smith*, president of the University of Toronto, offered him the chairmanship of the department, effective the following year. “A very important day in my life,” Creighton wrote in his diary. Status mattered to him. However, he inherited an unhappy department. Senior members took exception to his appointment, feeling that George Williams Brown would have made a more effective chairman; junior members did not object to Creighton, but they continued to resent their tenuous positions and low pay; and both groups lamented the administration’s failure to consult them. 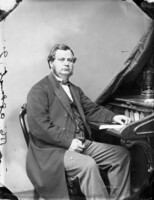 For his part, Underhill soon retired on short notice when he agreed to become curator of Laurier House in Ottawa [see William Lyon Mackenzie King*]. As he told a colleague, “I haven’t looked forward with great joy to continuing in the present department with Don Creighton as head.” The intellectual disagreements between these two giants – Underhill, who defended the policies of the Liberal Party and accepted American leadership in the Cold War, versus the Tory Creighton, who condemned the Liberals for breaking the imperial connection and lining up like so many errand boys for Uncle Sam – had become personal. It bothered Creighton that, while all seemed to respect him, they loved Underhill. 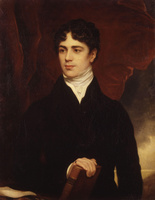 In a small department, whose members met regularly for afternoon tea in the basement of Flavelle House [see Sir Joseph Wesley Flavelle*] and socialized through the undergraduate Historical Club, his jealousy could only grow. In time, it consumed him and, ultimately, diminished him as a person. Creighton, it turned out, was not a leader. He could not manage strong personalities, and he lacked the guile necessary to succeed at departmental politics. Mercurial, thin-skinned, and hell to get along with, he became a lightning rod. Added to the politics was the heavy workload: committee meetings, budget estimates, staffing concerns, curriculum debates, salary negotiations, leaves of absence, grant applications, library acquisitions, office space, and student requests dogged him for the better part of four years. “If DGC is not careful,” department member John T. Saywell told a colleague, “this job will kill him.” Indeed, it nearly did. The stress was overwhelming. Creighton developed psoriasis on his scalp, an itchy skin condition that demanded special shampoos. More seriously, he acquired an extremely painful, but mercifully episodic, stomach ailment that was variously diagnosed as a gastric ulcer and a severe gastrointestinal infection. Whatever the cause, it defied treatment and could only be controlled. Historian Margaret Evelyn Prang*, then a graduate student, recalled watching him, in the middle of a seminar, take great swigs of “some horrid-looking green medicine” in an effort to lessen the sharp, twisting pain. His daughter, Cynthia Flood (born in 1940), remembered her father as a very unhappy person throughout his tenure as chairman. “Coming home from school and entering the house, I looked for his galoshes. If they were there I had to prepare myself, brace myself, for whatever might be waiting for me. He could be in one of his sour, difficult moods. But if the galoshes weren’t there, well, I could relax and go upstairs to see my mother.” By 1959 Creighton had had enough, and he asked, in his words, “to be relieved of the chairmanship.” He wanted, he said, to devote himself to what he did best: writing. He was replaced by James Maurice Stockford Careless*, a member of the new, post-war generation Creighton himself had taught. He was out of the country for eight months, from February to September 1960. The first three were spent in Africa meeting with politicians, local officials, farmers, and students. Creighton took the assignment seriously: he kept detailed notes, asked pertinent questions, participated in committee meetings, and offered insights based on Canadian precedents. Preparing the final report in London occupied the next five months. The commissioners recommended a number of important changes to the federation’s constitution to accommodate African national sentiments, including the right to secession. They recognized that unless changes were implemented quickly, only force could keep the federation together. In the sense that it appealed to a multiracial future, the Monckton report was no Durham report. Bilingualism, biculturalism, and Quebec nationalism; Pearson, the flag debate, and constitutional reform; Canada, the United States, and continentalism – it was in this context that Creighton wrote his last great book. 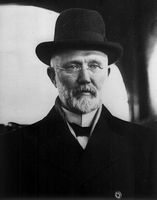 Canada’s first century, 1867–1967 (Toronto, 1970) saw him return to the Laurentian thesis, which he had developed more than 30 years earlier. In The commercial empire of the St. Lawrence, Creighton had located the reason for Canada’s separate existence in the St Lawrence River. But at the same time he had found “some primitive defect, some fundamental weakness, in the society of the St. Lawrence, in the resources which it could bring to bear upon its problems, and in the very river itself which had inspired its entire effort. The St. Lawrence was a stream which dashed itself against the rocks and broke the hopes of its supporters; and all the long struggle, which had begun when the first ships of the French sailed up the River of Canada, had served, in the end, to establish a tradition of defeat.” The Montreal merchants who in 1849 sought annexation of the Province of Canada to the United States [see John Redpath*] were the first in a long line of people prepared to abandon the promise of the St Lawrence River. Let us seek, they said, “a friendly and peaceful separation from the British connection and a union upon equitable terms with the great North American confederacy of sovereign states.” Annexation did not occur; this outcome delayed but could not preclude the inevitable. Canada’s first century documents that inevitability. 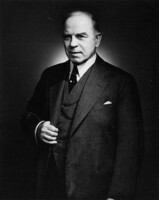 And it lays a large measure of the blame at the feet of those Creighton privately called the “bloody Liberals”: in his view, prime ministers Mackenzie King, Louis-Stephen St-Laurent, and Lester Pearson had systematically rejected Canada’s British inheritance. He reserved particular animus for King. Inspired by Wagner’s Der Ring des Nibelungen, he presents the former prime minister as Alberich, the ugly, wretched dwarf who renounces love for power. King was, Creighton wrote, “a short, stoutish man, with a torso like a barrel,” whose appeals to moral pieties masked a brutal quest for power and who, through a series of wartime agreements with the United States, “effectively shackled” Canada to its southern neighbour. 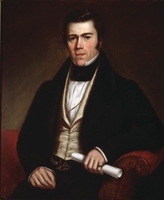 St-Laurent and Pearson finished the job: through their actions, they further linked Canada to the United States and ultimately severed its ties to Britain. They are Hagen figures. It is Hagen, Alberich’s son, who, by plunging a spear into Siegfried’s back, kills the beautiful, youthful hero. The last sentence of Canada’s first century finds continentalism moving “towards its final triumph.” Creighton’s own Ring cycle was complete; George Parkin Grant*’s Lament for a nation …, which had been published in Toronto five years earlier, was Creighton’s requiem for his country. 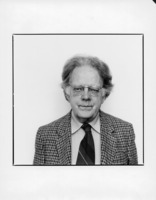 Donald Creighton retired from the University of Toronto in 1971 after 44 years of teaching. But in many ways he did not slow down. That year he was one of three historians interviewed by Ramsay Cook for a film titled The craft of history, which explored, among other themes, the relationship between the historian and nationalism. The following summer he travelled from Newfoundland to British Columbia and north to Dawson in the Yukon for the filming of Heroic beginnings, a one-hour television program produced by the Canadian Broadcasting Corporation in 1973 in which he acted as a guide to 11 national historic sites that documented key moments in Canadian history. The publication of The craft of history (Toronto, 1973) and Canada: the heroic beginnings (Toronto, 1974), an expanded narrative based on 51 historic sites that was issued by Macmillan together with the Department of Indian and Northern Affairs and Parks Canada, testified to Creighton’s status as English Canada’s leading historian. He also continued to write – Towards the discovery of Canada (Toronto, 1972), a collection of essays; The forked road: Canada, 1939–1957 (Toronto, 1976), his volume in the Canadian Centenary Series, directed by W. L. Morton, for which he served as advisory editor; and Takeover (Toronto, 1978), a novel about the proposed sale of an old Canadian distillery to American interests – and he continued to brood about Canada and its fate. 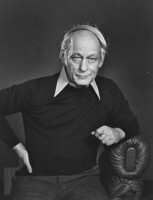 Following the victory of the Parti Québécois, led by René Lévesque*, in the provincial election of November 1976, Creighton published a scathing attack in Maclean’s magazine (Toronto). The time had come, he said, to negotiate secession. English Canada should reject any notion of economic association with an independent Quebec. 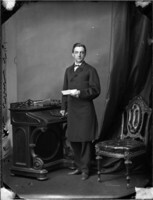 “There is something peculiarly offensive in the calm assumption of the leaders of the Parti Québécois that Quebec should be able at one and the same time to enjoy all the political liberties of independence and all the economic advantages of union.” His friends were angry (Cook called the article “pathetic”), but he was unrepentant. To focus on the public figure, however, is to obscure the private man. Behind the outspoken and uncompromising social critic was a warm, generous, and hospitable individual. Anticipating his retirement, he and Luella had bought a historic house in the small town of Brooklin, east of Toronto, in 1962. They enjoyed nothing more than opening their home to their many friends. Luncheons, dinner parties, and receptions were wonderful affairs at which lively conversations ranged from politics to literature and from gardening to music and art. Many of those welcomed into his home were former students. Creighton took teaching seriously, especially at the graduate level, and he directed 22 phd candidates, including historians P. B. Waite, Ramsay Cook, H. V. Nelles, and J. R. Miller. Creighton was, Miller remembered, a wonderful supervisor. When the young student started sending him chapters of his thesis, “he was marvellous. He would return a chapter in a matter of days. And he would make suggestions, but he would always add something like, ‘Now remember, these are suggestions, not instructions.’ He really treated me like an equal, like a colleague.” Waite recalled that Creighton “respected evidence; you could tell him anything if you could prove it from the documents.” Punctilious and thorough, he was also avuncular and solicitous. He worried about the effect that reading much microfilm might have on one student’s eyesight, he reminded another to eat properly and pace himself, and he advised a third not to worry about his thesis but to enjoy time with his new baby. As well, Donald and Luella indulged their interest in travel. At least once a year from the late 1960s to the mid 1970s they took a European vacation. In September 1970 they went to France, where they visited their old haunts in Paris and took a day trip to Chartres. At the cathedral there Creighton found himself overwhelmed with grief. He was reminded of the time, 18 years earlier, when he and Luella had taken a 12-year-old Cynthia to see this magnificent building. The image of his daughter bathed in sunlight that entered through one of the many stained-glass windows had stayed with him all these years. Now she was a grown woman and a Trotskyist. Creighton felt, he said, as he had when he read the casualty lists from the Great War in old newspapers. He loved his children, but he was a difficult man, and his daughter, who now lived in Vancouver, had put a continent between them. Over the course of his long career, Creighton received many awards, including the J. B. Tyrrell Historical Medal, presented by the Royal Society of Canada for exceptional work in Canadian history, in 1951; the University of British Columbia President’s Medal in Biography in 1955; and the Molson Prize, awarded by the Canada Council for the Arts for outstanding contribution to Canadian arts and letters, in 1964, the first year it was given. He was among the inaugural group of companions chosen for the Order of Canada when the honour was established in 1967, and the following year the University of Toronto appointed him university professor, only the second person, after Herman Northrop Frye*, to be so designated. Institutions across Canada, from Memorial University of Newfoundland to the University of Victoria in British Columbia, recognized him with honorary degrees. In fact, although The empire of the St. Lawrence and Creighton’s biography of Sir John A. Macdonald have remained in print, his books are now rarely read or even consulted by historians, and his central theme, the Laurentian thesis, has been all but consigned to the dustbin. Historian Fernand Ouellet, in his Histoire économique et sociale du Québec, 1760–1850: structures et conjoncture (Montréal, 1966), disputed particular facts in The empire of the St. Lawrence, such as Creighton’s location of the decline in the importance of the fur trade to Montreal in the last decade of the 18th century. 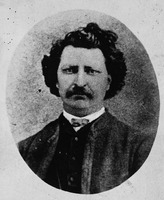 More crucially, Ouellet did not assign a national vision to the Montreal merchants. Nor did his student Allan Greer, who noted in Peasant, lord, and merchant: rural society in three Quebec parishes, 1740–1840 (Toronto, 1985) that “Creightonian ideologies to the contrary, there was nothing very revolutionary, heroic, or even progressive” about the intrusion of mercantile capital into the St Lawrence River valley. And according to historian Michael Bliss, the Laurentian thesis was always a thesis in search of evidence. The Montreal merchants, he observed, did not envision a northern nation; rather, they “thought first, and often last, in terms of the health of their enterprises,” and it is a romantic fantasy to assert otherwise. From a later, anti-national perspective, Creighton’s quest for a nation makes him at best quaint and at worst exclusionary. But he was a product of his time, and among his contemporaries no other historian wrote as well or reached as many readers. In 2006 the Literary Review of Canada ranked The commercial empire of the St. Lawrence and the two Macdonald volumes among Canada’s 100 most important books. A full-length biography of Donald Grant Creighton by the author is in preparation. The principal manuscript sources for Creighton’s life are the Donald Grant Creighton fonds (R5269-0-3) at Library and Arch. Can. (Ottawa) and the Luella Creighton fonds (GA 99) at the Special Coll. Dept. of the Univ. of Waterloo Library, Ont. Creighton’s daughter, Cynthia Flood, published “My father took a cake to France,” a short story based on her interpretation of an episode in his life as he described it to her. It is available in the collection My father took a cake to France (Vancouver, 1992), 41–54. In addition to the works mentioned in the text, Creighton is the author of Harold Adams Innis: portrait of a scholar (Toronto, 1957), The story of Canada (Toronto, 1959), The road to confederation: the emergence of Canada, 1863–1867 (Toronto, 1964), and essays in edited collections and scholarly and popular journals. 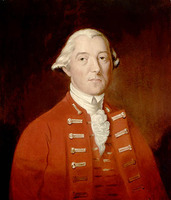 His book The commercial empire of the St. Lawrence, 1760–1850 (Toronto, 1937) was republished as The empire of the St. Lawrence (Toronto, 1956), and The story of Canada also went through later editions (1st American ed., Boston, 1960; new and rev. ed., Toronto, 1971). Creighton’s talks with Paul Fox on CBC television in 1959 were issued as A long view of Canadian history … (Toronto, 1959). A list of his academic publications to 1970 can be found in Character and circumstance: essays in honour of Donald Grant Creighton, ed. J. S. Moir (Toronto, 1970), 235–39. A collection of previously published essays appeared posthumously as The passionate observer: selected writings (Toronto, 1980). Several works by Creighton have been translated into French. In chronological order they are: L’Amérique britannique du Nord à l’époque de la confédération: étude préparée pour la commission royale des relations entre le dominion et les provinces [translation of British North America at confederation: a study prepared for the royal commission on dominion-provincial relations] (Ottawa, 1939); Canada: les débuts héroïques [translation of Canada: the heroic beginnings] (Montréal, 1979); Take-over [translation of Takeover], Jacques de Roussan, trad. (Montréal, 1980); and the two-volume biography of John A. Macdonald, which is translated under the main title of John A. Macdonald: le 1er premier ministre du Canada, with the subtitles Le Haut et le Bas-Canada and La naissance d’un pays incertain, Ivan Steenhout, trad. (Montréal, 1981). Library and Arch. Can., R2285-0-0. Univ. of Oxford, Balliol College Arch. & mss (Eng. ), Student files, D. G. Creighton. Univ. of Toronto Arch. and Records Management Services, B1997-0031; B2005-0011; B2006-0015. Victoria Univ. Arch. (Toronto), Fonds 2021. Acta Victoriana (Toronto), 49, no.1 (October 1924): 18; no.6 (March 1925): 21. Carl Berger, The writing of Canadian history: aspects of English-Canadian historical writing since 1900 (2nd ed., Toronto, 1986). Sarah Bonesteel, “Luella Bruce Creighton: a writer’s diary: a feminist study of the life and experiences of a twentieth century Canadian author” (ma thesis, Univ. of Waterloo, 2001). Robert Bothwell, Laying the foundation: a century of history at University of Toronto (Toronto, 1991). 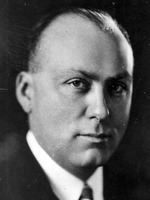 Lionel Groulx, La naissance d’une race: conférences prononcées à l’université Laval (Montréal, 1918–1919) ([Montréal], 1919). J. E. Igartua, “‘Ready, aye, ready’ no more? Canada, Britain, and the Suez crisis in the Canadian press,” in Canada and the end of empire, ed. Phillip Buckner (Vancouver and Toronto, 2005), 47–65. Raymond Massey, “My Oxford,” in My Oxford, ed. Ann Thwaite (London, 1977), 35–58. Philip Massolin, Canadian intellectuals, the Tory tradition, and the challenge of modernity, 1939–1970 (Toronto, 2001). Kenneth McNaught, Conscience and history: a memoir (Toronto, 1999). “Out of the turmoil comes a new awareness of ourselves,” D. [G.] Creighton interviewed by Allan Anderson, Univ. of Toronto, Graduate (Toronto), 1, no.4 (June 1968): 38–46. Reba Soffer, “Nation, duty, character and confidence: history at Oxford, 1850–1914,” Hist. Journal (Cambridge, Eng. ), 30 (1987): 77–104. Charles Taylor, Radical Tories: the conservative tradition in Canada (Toronto, 1982). 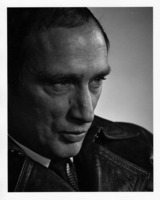 P. E. Trudeau, “New treason of the intellectuals,” in his Against the current: selected writings, 1939–1996, ed. Gérard Pelletier, trans. George Tombs (Toronto, 1996), 150–81. P. B. Waite, “Donald Grant Creighton, 1902–1979,” Royal Soc. of Can., Proc. (Ottawa), 4th ser., 18 (1980): 73–77. Donald Wright, The professionalization of history in English Canada (Toronto, 2005). Donald Wright, “CREIGHTON, DONALD GRANT,” in Dictionary of Canadian Biography, vol. 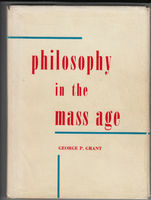 20, University of Toronto/Université Laval, 2003–, accessed April 24, 2019, http://www.biographi.ca/en/bio/creighton_donald_grant_20E.html.